The sharp downturn in Taiwan travel industry are expected to recover again due to the modified Taiwan Visa Amendment. In September 2016, Taiwanese government passed a visa amendment based on President Tsai's Pedoman New Southbound Policy, aiming to partner with ASEAN to increase Taiwan’s international recognition and boost domestic economy. A visa amendment is part of this policy. The amendment states that any Southeast Asian country with visas to developed countries such as Korea and Japan would no longer require visa to enter Taiwan. The policy relaxation is expected to stimulate a slumping tourism industry, which is largely due to a decrease in Chinese visitors, by attracting travelers from Southeast Asia. In the past decades, applying for Taiwanese visa was extremely difficult for most Southeast Asian citizens, except for Singaporeans, because of ingrained concerns about the illegal stay and unpermitted work. The stereotypical prejudice towards the weak economical development in Southeast Asia resulted in the longstanding stagnation in the mutual interaction for Taiwanese and those Southeast Asian countries, and Vietnam is no exception. "Most of Vietnamese hold a positive image toward Taiwanese and Taiwan. We love Taiwanese culture and desire to have a trip in some of the spectacular national park. 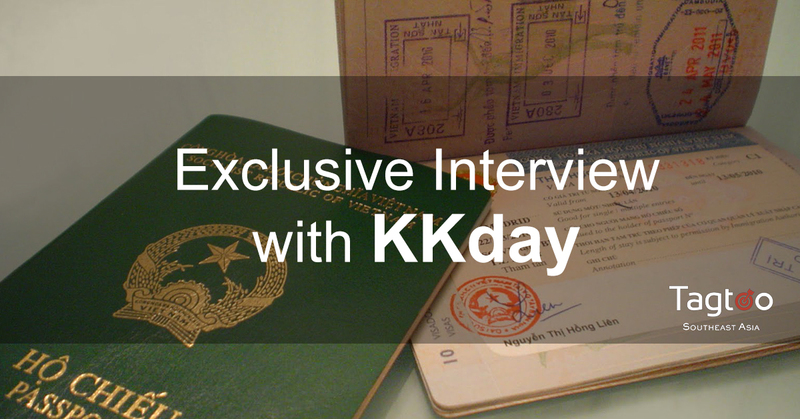 The visa amendment just comes as a perfect timing," said Viet Tu Nguyen, Brand Manager of KKday Vietnam, in an exclusive interview. Before the policy amended the visa requirement, a Vietnamese citizen would have to go through a complex process in order to obtain a Taiwanese visa. The steps required official document, health statement, and labor contracts. And even if one followed all the steps, showed a strong financial background, and submitted all the paperwork, getting a visa was far from a guarantee. In most cases, these applicants would still be rejected. Notably, the number of Vietnamese visitors outbound to Taiwan increases significantly. The surge in the growth of Taiwan travel, in fact, starts with the appearance of local budget airlines, Vietject Air, more precisely, and the increasing expansion of regional airlines, prominently assisting in the transportation with other countries. Moreover, with more and more affordable flight tickets available, people begin documenting their travel experience online and writing blogs which share the invaluable tips and disclose inaccessible information resulting from the language barrier. With that said, it's believed that the visa amendment and new government's policy are the primary reasons leading the travel trend to an even higher level. Due to the loose visa regulations, Vietnamese visitors traveling to Taiwan has broken the historical record. Currently, planning a vacation to Taiwan is becoming one of the major choices and a sought-after experience for Vietnamese in terms of outbound travel, according to an insider with knowledge of Vietnamese tourism. Likewise, more and more Taiwanese travels to Vietnam, owing to the implement of visa on arrival in Vietnam and other policies aiming to attract international visitors. According to a research conducted by Google and Temasek Holdings, online travel spend in Southeast Asia will account for $76 billion. More than 70% of the population are younger than 40. Vietnam, of course, is within one of them, plus an amazing characteristic that juniors are more technology adept and craving for convenience brought by new technologies and creative business models. Nowadays, traditional packaged tours offered by travel agencies could no longer satisfy young people, millennial and Generation Z in particular. Also, the notoriously hidden cost and compulsory shopping activities in unbelievably cheap tour packages are often reported. What’s more, with the emergence of growing number of independent backpackers, which is made up of young adult mostly, across this region, the inflexibility in packaged tours deters young customers away and may become the last straw that breaks the camel's back -- lose trust in the traditional travel agency. Unsurprisingly, new types of travel agency springs up like mushrooms in response to the aforementioned phenomenon. Bold pioneers and the incoming entrants have been working on the innovation in trip preparation and information discovery, trying to make customer journey of travel closer to their real needs and optimizing their offering. The travel industry, in essence, is a cut-throat industry which scale and cost are the major factors determining the remaining winners. Nevertheless, under no circumstances does it mean small startup can not stand out in the fiercely competed market. With innovated product and differentiated service, there are still niche markets for startups to survive in the overcrowded space. "As a startup holding limited capital, we deeply understand the only way to be outstanding is to have an unfair advantage in your products and services. That's how you could compete with global enterprise or deep-pocket players. I have a strong faith in our offering and our unbreakable team." KKday's strength comes from its localization strategies. Firstly. KKday recruits local talents into its local management team to deal with all the business development. Next, the localized content is also something KKday take pride in. Even though creating unique and localized content for different countries costs more budget, KKday is determined to implement a real localization tactic by producing what local customers like rather than simply making a direct translation from the original content, which is not appealing to readers at all most of the time. From January 2016 to March 2017, KKday's fans number derived from Vietnamese on Facebook has accounted for nearly 10% of the total number, growing from 15k to 60k. The Vietnamese customers using KKday's platform has also increased by approximately sixfold during this period of time. "While everything ahead looks wonderful, I know we shouldn't feel satisfied. We will try our best to maintain the momentum and provide the best travel experience to our customer," told Ms. Viet Tu Nguyen in the end of the interview.